Arad ( Hungarian: ; Serbian: ) is the capital city of Arad County, historically situated in the regions of Crisana, and having recently extended on the left bank of the Mures river, in Banat region of western Romania. 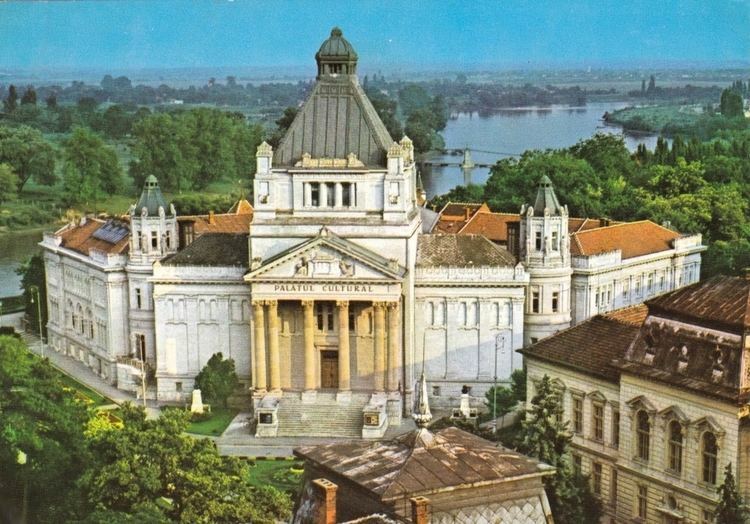 An important industrial center and transportation hub on the Mures River, Arad is also the seat of a Romanian Orthodox archbishop and features two universities, a Romanian Orthodox theological seminary and a training school for teachers. It had one of the first music conservatories in Europe. The city has a population of 159,704, making it the 12th largest city in Romania. Arad is the third largest city in the western part of the country, behind Timisoara and Oradea. Arad was first mentioned in documents in the 11th century. The Mongol invasion of the Kingdom of Hungary in 1241 showed the importance of the fortifications on this place, to which were added in the second half of the 13th century more stone fortresses at Soimos, Siria, and Dezna. The Ottoman Empire conquered the region from Hungary in 1551 and kept it until the Peace of Karlowitz of 1699. Arad became an eyalet center, which comprised the sanjaks of Arad, Lugoj, Kacas, Beslek and Yanova from 1660 till 1697, when it was captured by Austrians during Ottoman-Habsburg wars (1683–1699). After 1699, the city was ruled by the Habsburg Monarchy. According to 1720 data, the population of the city was composed of 177 Romanian families, 162 Serbian, and 35 Hungarian. Bravely defended by the Austrian general Berger until the end of July 1849, it was captured by the Hungarian rebels, who made it their headquarters during the latter part of the Hungarian Revolution of 1848. It was from Arad that Lajos Kossuth issued his famous proclamation (11 August 1849), and where he handed over the supreme military and civil power to Artur Gorgey. The fortress was recaptured shortly after the surrender at Vilagos (now Siria, Romania), with the surrender of general Artur Gorgey to the Russians. It became an ammunition depot. Thirteen rebel generals were executed there on 6 October 1849, by order of the Austrian general Julius Jacob von Haynau. These men are known collectively as the 13 Martyrs of Arad, and since then Arad is considered the "Hungarian Golgotha". One of the public squares contains a martyrs monument, erected in their memory. It consists of a colossal figure of Hungary, with four allegorical groups, and medallions of the executed generals. Aradu Nou / Neu Arad / Ujarad ("New Arad"), situated on the opposite bank of the Mures river, is a neighborhood of Arad, to which it is connected by the Trajan bridge. It was founded during the Turkish wars of the 17th century. The works erected by the Turks for the capture of the fortress of Arad formed the nucleus of the new settlement. With a rich industrial and commercial tradition, Arad is one of the most prosperous towns in Romania. Thanks to numerous investments in industry and commerce, Arad has a booming economy. 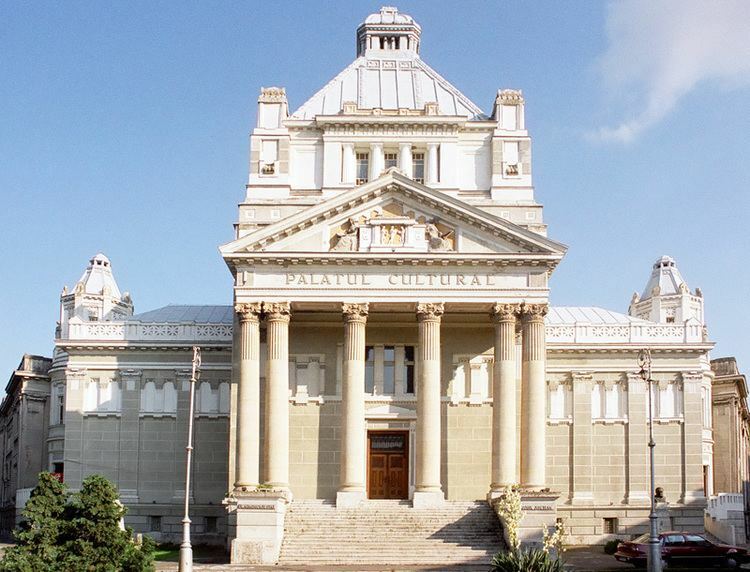 Arad has two universities, the private "Vasile Goldis" Western University, founded in 1990, and the public Aurel Vlaicu University founded in 1991. Also the "Spiru Haret" long-distance studies University has a branch in Arad. There are about two dozen high schools, some of the more famous being the Moise Nicoara National College, the Pedagogical High School "Dimitrie Tichindeal", "Elena Ghiba-Birta" College, the Economics College, the Technical College for Constructions and Environmental Protection Arad, and the Vasile Goldis theoretical lyceum. High schools in minority languages include the Hungarian Csiky Gergely College and the German Adam Muller-Guttenbrunn theoretical lyceum.